"He is a gentle and easygoing snake that doesn't want to hurt people." 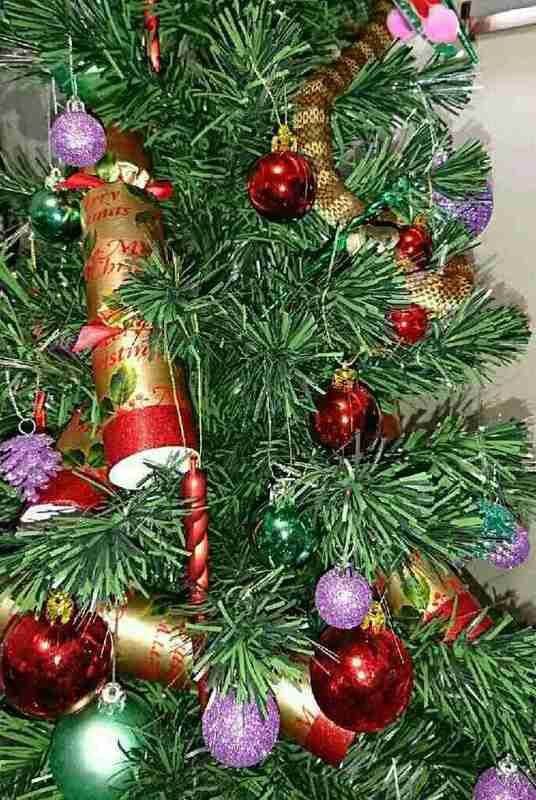 We've all seen cats who are fascinated by Christmas trees, but one woman discovered a not-so-cuddly animal taking shelter in her tree this year. A woman named Cheryl was in her home in Australia when she noticed an ornament that she hadn't hung up - a tiger snake. 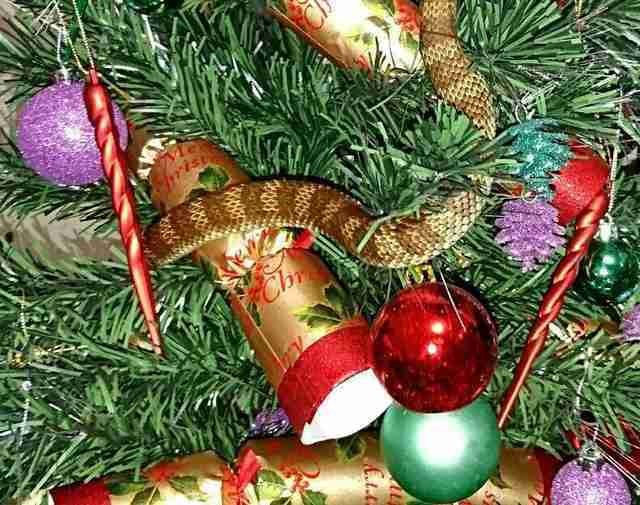 The snake was comfortably lounging in the branches, happily getting into the Christmas spirit, and almost blended in with the rest of the decorations. While tiger snakes are among the top 10 deadliest snakes in the world, this little guy had no interest in hurting anyone. So Cheryl called Barry Goldsmith of Snake Catcher Victoria, who immediately came out to help the lost snake find his way back home. Tiger snakes are a protected species, and therefore it's illegal to harm or kill them. "This snake came in through an open door and was chilling in the Christmas tree when it was noticed by Cheryl," Goldsmith told The Dodo. "He is a gentle and easygoing snake that doesn't want to hurt people." After removing him from the Christmas tree, the snake was safely released back into the wild. This snake probably just got tired of all the boring, regular trees outside, and wanted to hang out inside something a little more festive. 'Tis the season, after all.